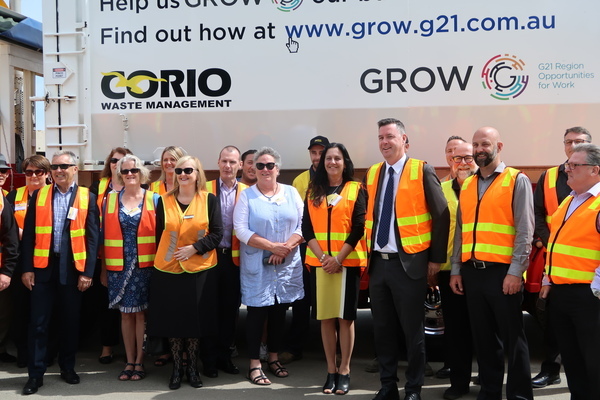 Christine Couzens MP and Industry and Employment Minister Wade Noonan at a Local Industry Fund for Transition announcement. We are Geelong and we are an exciting city that an increasing number of people want to visit and call home. We are a traditional manufacturing city, providing quality Australian made goods. However, we are also at the forefront of hi-tech manufacturing, with a growing carbon fibre manufacturing industry at Deakin, Waurn Ponds. Geelong has become Australia’s leading insurance industry hub, with Worksafe joining TAC in calling our city home and attracting hundreds of long-term jobs. Geelong is a city with first class public health services. The Andrews government has allocated $10 million to plan the new women and children’s hospital in Geelong. We have a vibrant city, a place to enjoy, to shop and to relax. With our revamped laneways forming part of our cultural precinct, with fantastic eateries and wine bars, an increasing number of visitors are enjoying the culture Geelong has to offer. We are Geelong, where a first-class education is what every child deserves. The Andrews government has spent over $73 million rebuilding and refurbishing our primary and secondary schools. And it is not just bricks and mortar. Over $14 million has been provided in equity funding for disadvantaged children. Our programs have enabled children, who would otherwise miss out, to go on excursions, receive new clothing and start the day with a breakfast. And Geelong is one of ten locations around the state where secondary students can utilise a new state of the art tech school to help them choose their future career path. Yes, we are Geelong; an exciting place to live, work, study and relax. A place we are proud to call our home.